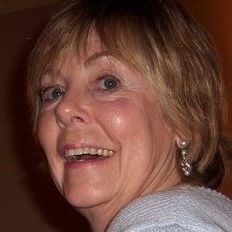 Kathryn Galloway Spinks passed away at Beebe Retirement Center on September 22, 2018, at the age of 72. Kathryn was born on October 11, 1945, in Heber Springs, Arkansas to John and Genevieve (Smith) Jethro. She was a retired Registered Nurse at Arkansas Heart Hospital. She enjoyed cooking, reading, working crossword puzzles, working in the garden, the time she spent in Honduras on her medical mission trips, and most of all spending time with her family. She leaves to cherish her memory, three sons, Bill Spinks of Celina, Texas; Robert "Davy" Spinks (Catherine) of Fairbanks, Alaska; Andrew Spinks (Sonya) of Beebe, Arkansas; one sister, Carol Holland (Everett) of Ward, Arkansas; three grandchildren, Rebecca Spinks of Beebe; Autumn RosasRubio of Okinawa, Japan; Andy Spinks of Beebe, Arkansas; one great-grandchild, Layla Spinks of Beebe; two nieces, Ashley Randall (Adam) of St. Louis, Missouri; Katie Jethro of Mt. View, Arkansas; three nephews, Jimmy Thompson of Lincoln, Nebraska; Allen Thompson of North Little Rock, Dustin Jethro of Beebe, Arkansas whom she raised as one of her own. She is preceded in death by her parents, and one brother, John V. Jethro. The family will receive friends on Thursday, September 27, 2018, from 6:00-8:00 PM at Lighthouse Pentecostal Church 505 North Apple Street in Beebe, Arkansas.